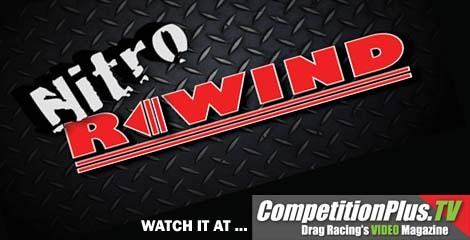 As a preview to the 24th annual O’Reilly Auto Parts NHRA Spring Nationals John Force Entertainment offers the first installment of Nitro Rewind. The show, an internet based broadcast, is hosted by Bill Stephens and features interviews from Top Fuel and Funny Car NHRA competitors. In this first episode Top Fuel drivers Terry McMillen and Morgan Lucas talk about the challenges and excitement of racing in Houston as well as what the Top Fuel experience is like. John Force Racing track specialist Lanny Miglizzi talks about getting race cars down a tricky race track and fans will be treated to footage of JFR future Funny Car driver Courtney Force in action testing after the VisitMyrtleBeach.com NHRA Four Wide Nationals. Future episodes will be on the Thursday after each national event. She is drag racing's First Lady of Nitromethane. No female drag racer has done more to put the sport on the map. 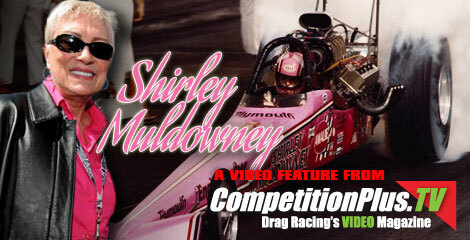 In this first video feature from the new CompetitionPlus.tv, Ms. Muldowney talks about her special bond with her fans and the future of the sport. Reigning ADRL Pro Extreme World Champion Frankie “Mad Man” Taylor lived up to his nickname with another wild ride in fourth-round qualifying Saturday at Royal Purple Raceway in Baytown, Texas. Running in the left lane alongside Sheikh Khalid Al-Thani, Taylor got the jump off the start, but nearing half-track his 2005 Corvette suddenly veered right, raising up on its two left wheels and crossed the center line, appearing on an almost certain collision course with Al-Thani’s ’68 Camaro. Taylor already had his chutes out, though, and when blossomed with air, they slowed him down enough to settle his car back on four wheels as he slipped in behind Al-Thani in the right lane and motored on through the shutdown lane, unscathed. NHRA Mobile, the popular mobile application that gives NHRA fans access to real-time results, news, driver blogs, track overviews, race schedules, team reports and points standings through their cell phones and mobile devices, will now offer video highlights from each NHRA Full Throttle Drag Racing Series event. 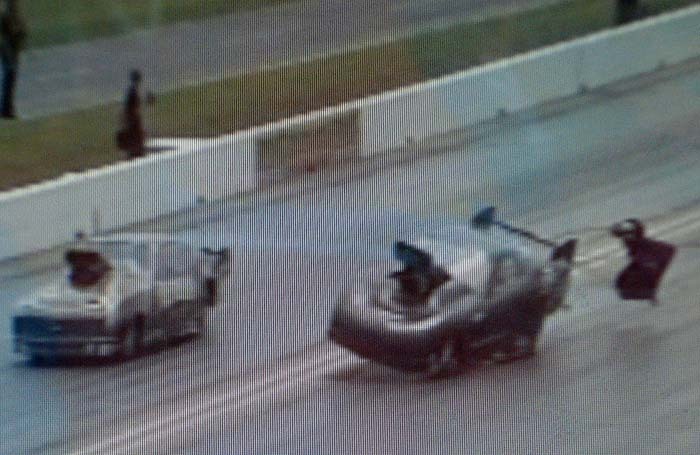 The NHRA Mobile video package will include race action highlights from No. 1 qualifiers in each NHRA Full Throttle Drag Racing Series category as well as eliminations highlights featuring the final-round runs for each pro category. Other video clips will feature winning drivers’ interviews as well as footage of any eventful activities that may occur during a race weekend.